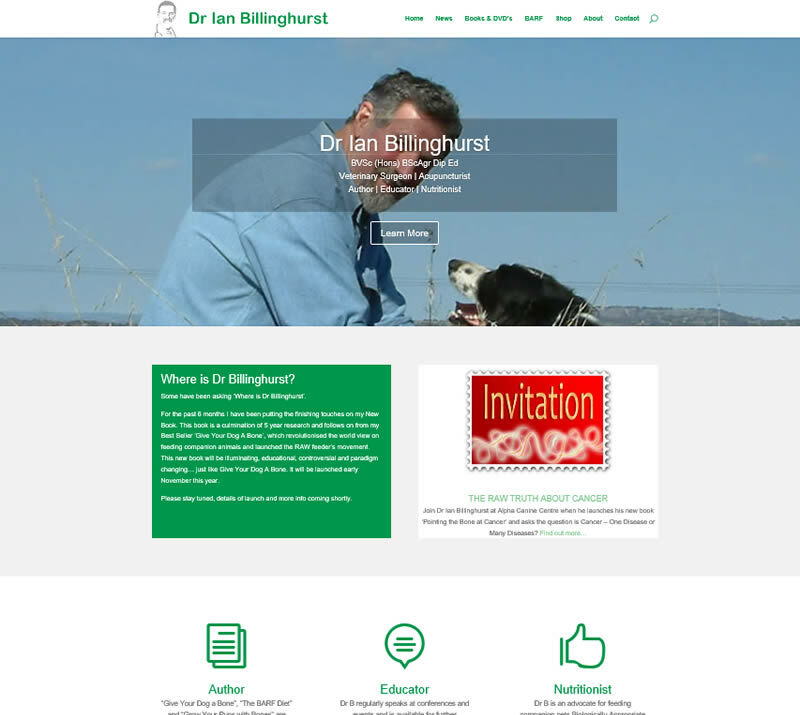 Dr Ian Billinghurst is a nutritionist, agricultural scientist, veterinary surgeon, author, lecturer, nutritional consultant and developer of raw pet foods. His findings are based on years of study, veterinary practice and research. This rebuilt website will promote the books and articles written by Dr Billinghurst as well as advertise speaking engagements. Books and DVD’s produced by Dr Billinghurst are also available for sale through the website. BARF, the raw pet food developed by Dr Billinghurst is also promoted through the site. Dr B will provide more articles and material on his research for posting on the website as it develops. Over time more features are slated for inclusion in the website as well. Re-design existing website with new branding incorporating key components from the original site plus new material.